Orkney Vintage Club would like to take this opportunity to thank those who have supported them over the years. The subscription is £7.50 for seniors and £1.00 for juniors (aged 16 and under). 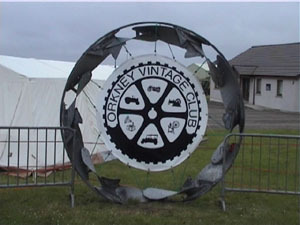 Orkney Vintage Club is a charitable company limited by guarantee. Registered in Scotland No. 244947. Registered Office: 4 Broad Street, Kirkwall, Orkney, KW15 1NX.